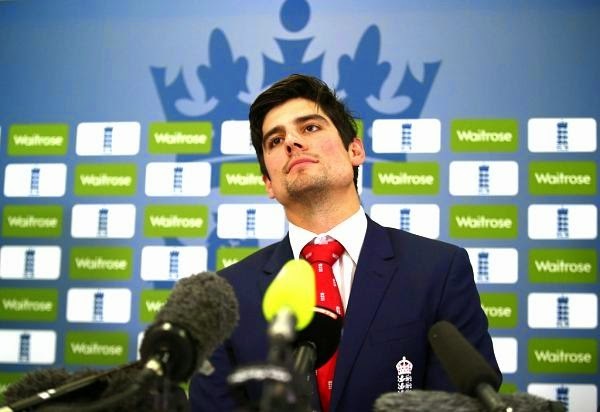 England captain Alastair Cook has been handed a one-match ban from One-Day Internationals (ODI) for keeping up a moderate over-rate amid England's five-wicket win in the third ODI versus Sri Lanka on Wednesday. Match ref David Boon found England an over short of their target toward the end of their downpour intruded on diversion at The ban was enforced because this was Cook's second breach of the over-rate in the last 12 months. He was prior forewarn for a moderate over-rate in an amusement against India at Cardiff. The charge laid by on-field umpires Simon Fry and Ruchira Palliyaguruge, third-umpire Steve Davis and fourth official Raveendra Wimalasiri additionally fines the English captain 20% of the match-fee. In Cook's nonappearance, Eoin Morgan will assume control captaincy obligations in the fourth ODI scheduled for the weekend. "Eoin Morgan will captain the next game. He's a decent player, crikey. Damnation have been through periods when he's not exactly hitting it [as he'd like]. Yet he's the kind of player were extremely amped up for. The key is to have faith in yourself, and go out and play and Eoin will do that, I'm certain," England coach, Peter Moores was cited as saying by BBC Test Match special. "However one thing is that it cleans the slate for him, before we go to a World Cup, on the grounds that he had that ban hanging over him, in the event that he had one more of a chance moderate on our over-rate," he said. Regardless of Cook's absence, England will head into the fourth ODI certain after a spirit boosting win at Hambantota. "It's extraordinary to wake up when you've had a win added to your repertoire," Moores said. "Frequently, the morning after is the time you truly feel wins and misfortunes. So its extraordinary to know were back in the series, at 2-1," Moores closed down.